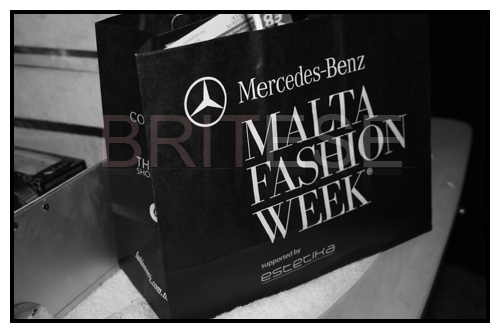 Its Malta fashion week ! It Kicked off yesterday with the 3rd Edition of Fashion Collective Show SS11! And i must say it had a great line up.. Collections from, Pull & Bear, Stradivarius, Bata and Accessories, Bershka, Miss Selfridge, La Ciel, Fergi, Primo Emporio and Scotch & Soda. 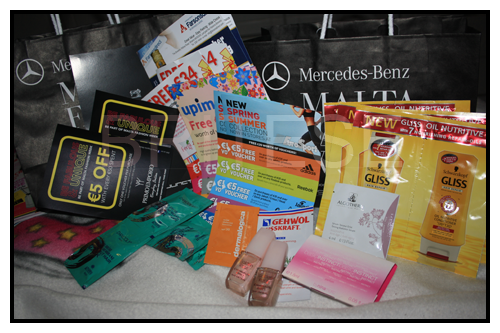 We got loads of Samples, vouchers and nail polishes! 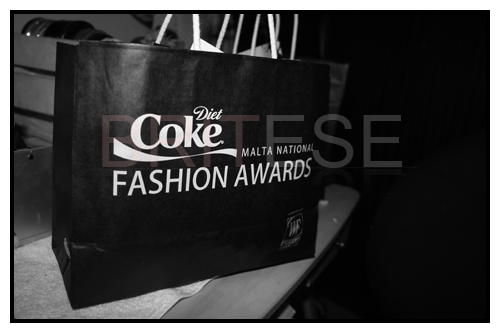 Some even got a mini coke bottle..
Malta Coke Fashion Awards this Saturday!